With its spectacular coastline, New Zealand is little short of paradise for boat owners. Many great builders live there but some of the bigger brands are simply too expensive in the local market. If you have your eye on a particular model or simply don't want to part with the one you have, you'll need to look into boat shipping to New Zealand. New Zealand has very strict regulations which are designed to protect its farmers and agricultural industry from anything that might cause contamination or introduce disease. Because of this, any boat being imported must be free of any and all organic matter. This includes bilge water. Check the engine bay and all the hatches for leaves and ensure there are no barnacles or other marine life present anywhere on the hull. Only a boat that is spotless inside and out will be allowed into the country without incurring an additional cleaning cost. Once thoroughly cleaned, all hatches should be sealed with tape to prevent them from working their way open during transit. Some shipping companies recommend the use of shrink wrap while others discourage it. Although it can offer some protection, it can also be damaged during transport and end up causing more problems by allowing water or other contaminants onto your boat. In order for your boat to be carried on a vessel it will require a trailer. This needs to be made either from steel or from timber than complies with New Zealand regulations. If this is not the case you will have to pay an additional fee once your boat arrives for the vessel to be fumigated and the cradle destroyed. You will require a cradle even if your boat has a flat hull. To keep your shipping costs as low as possible, try to remove anything that increases the overall volume of your boat. This may include such items as a radar arch or swimming platform. Anything detachable should be removed and stowed inside. When it comes to choosing a company for boat shipping to New Zealand, it's important to take your time and carry out the right amount of research. The first step is to ensure the carrier you choose has good references and a solid track record in taking boats similar to yours. You will be far more relaxed during transit if you know exactly where your boat is at any point in time. For this reason it's best to choose a company that offers a real-time tracking service. This can also be useful if you are planning on travelling to meet your boat on arrival as it can inform you well in advance of any possible delays. With so much at stake, it's best not to take anything for granted. Although the shipping company you are most interested in may claim to have the right kind of insurance, it is best to check this independently. 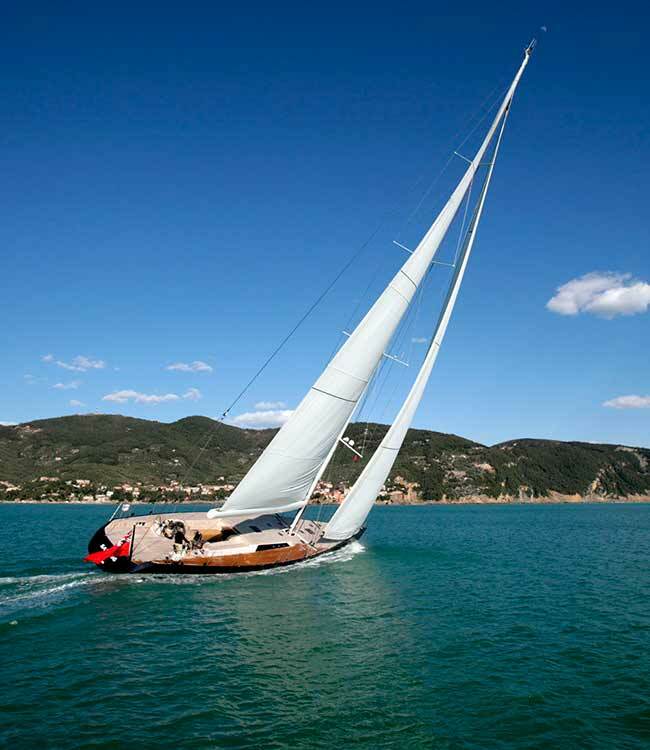 If the company has only basic liability insurance, your boat will not be covered in the event of an accident. They would need to have cargo insurance instead. Before going ahead with your booking, make sure to check the reviews left by previous users of each company you are considering. These can be found on the profile pages of transport companies registered on Shiply, which you can access by clicking on their usernames. You may well find several companies that seem reliable and therefore have a range of quotes to choose from. Don't simply go for the cheapest option. Be sure to spend a little time checking exactly what is included in the price. You may want to ask each company to provide full details of exactly how they have put their quote together. While one company may appear to be cheaper initially, it may be that costs such as permits, tolls and other extras are not included in the total. You should ensure your quote is fully itemised so that there is no room for additional items to be added to the cost at a later date. The last thing you will need to do conclude your boat shipping to New Zealand adventure is pay the company. While the booking deposit is paid online through Shiply, further payment arrangements will be made directly with the transport company. The payment methods offered by transport companies registered on Shiply vary from full or partial payment upfront to payment on delivery, make sure you check with them beforehand so that you are both clear on how the payment will be settled. The payment methods offered are likely to be a further consideration when it comes to choose between several rival firms. For instance, if you are arranging a complicated shipment, you may not feel it reasonable to pay the full price upfront. When you do come to pay, be sure to ensure you have a clear record of the transactions, just in case there are any problems or disputes further down the line. Check with the shipping company or New Zealand customs service to confirm exactly what paperwork you will need to bring with you in order to collect your boat. Many shipping companies will handle much of this for you but there will still be some administrative tasks for you to complete during the handover process. When you take delivery of your boat, check it carefully for any signs of damage. You should have carried out a similar inspection prior to loading and, if possible, have photographic evidence of this. This can be of huge benefit in the event that damage has occurred during the journey, both for making a claim from the transport company itself and for getting compensation from your insurance company. These same pictures can also be extremely useful when it comes to reassembling any parts of your boat that you took apart in order to reduce its size.